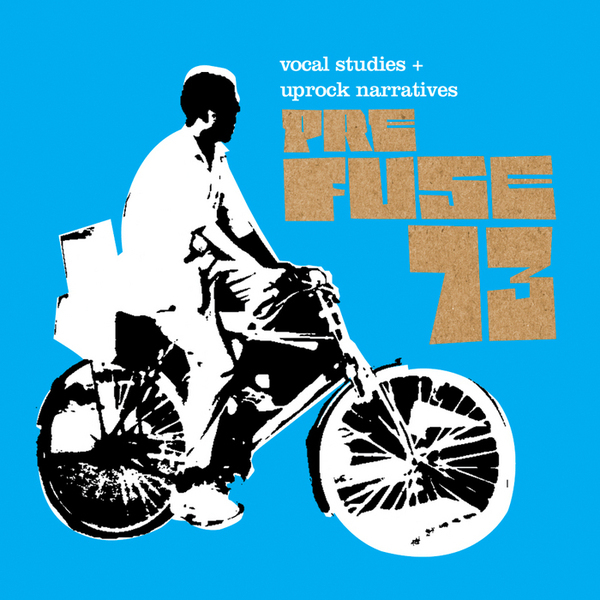 Scott Herren is Prefuse 73 - from Atlanta and now residing in Brooklyn NYC. Multi- talented - as a hip hop producer he has been name checked by Lucy Pearl and Destiny's Child and also writes as Savath and Savalas (Warp/Hefty) and Delarosa and Asora (Schematic). By now we all know the deal with this abstract hiphop/electronica fusion and the likes of Push Button Objects and Machine Drum have served as worthy reminders of just how satisfying this subgenre can be. Herren succeeds in obliterating hip-hop traditions while retaining absolute respect for its origins and form. Cut up and elongated, the vocal chop-ups (eh ah oh eh eh ah oh eh ah ep op....that kinda thing) have almost slipped into electronica cliché but are, thankfully, used here sparingly. Instead, we are treated to collaborations with a diverse choice of artists - Mikah 9, M.F.Doom, Aesop Rock, Rec Center, Dose One and, perhaps most interestingly - The Sea and Cake's Sam Prekop. Prekop features on 'Last Light' which stands out with substantial front amongst the 16 tracks on offer. His honeyed, dew-drop voice subverting the track into an almost Brazillian b-boy assault. Truly lovely. All in all, then, highly satisfying work from a truly versatile artist that is still playing about, finding his feet. Recommended.